Hello, I just registered to try and help my girlfriend with an issue on her Galaxy S5. 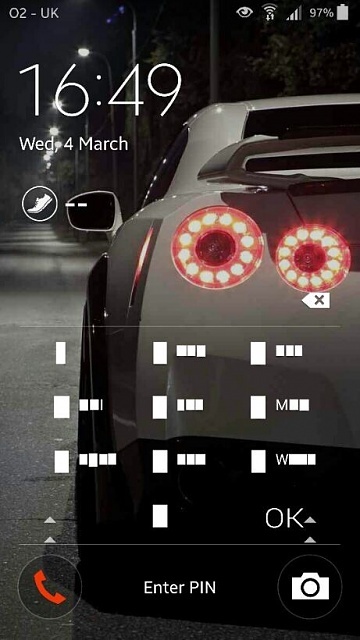 Her lock screen today started displaying blank white boxes where there should be numbers and letters, as seen in picture below. It still unlocks fine however. She upgraded to Lollipop at the weekend so i'm assuming a bug related to the update. If the problem persists report back here. Thanks for your reply systemofadown1, I will suggest this to her! My s5 has just started this, is there a way to solve it? Hi San151820, the problem solved itself when she restarted her phone twice. She had restarted once already before I posted here but tried again after encountering more bugs, she seems happy now so hopefully that fixes it for you. systemofadown1 and san151820 like this. Android app contains .DDV and .DDX files. How to open them? On my Samsung Galaxy S5, why do I have contacts missing and crashing after Lollipop? To screen protect/use a case or not to screen protect/use a case?